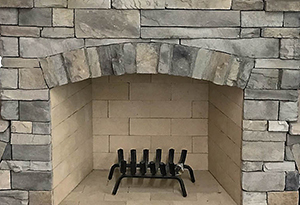 A compact wood burning fireplace with a 30" fire box that can fit into almost any design. 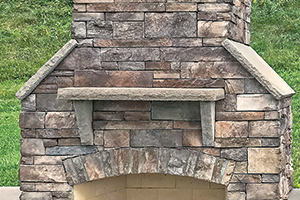 Solidly-built using a FireRock™ masonry core, high temperature fire brick lining and cultured stone veneer. Gas log starters or gas log sets can be added as an upgrade. Arrives completely finished with forklift channels hidden in the base for easy installation. Wood boxes and seat walls (separate pallet) easily attach. No masonry work required on site.